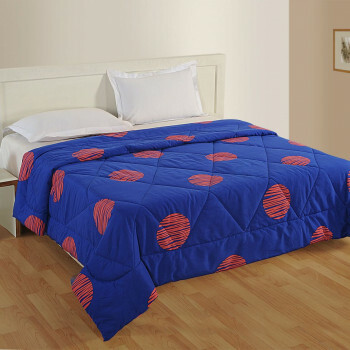 Feel the soft & cozy comfort and relax into the deep sleep with Pristine Micro Luxury Duvet, comforter & quilt. 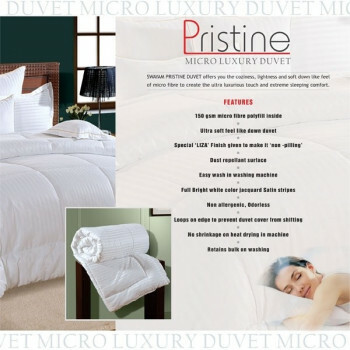 Same as the name, the duvet is a pure white offering with a natural sheen to make it look more luxurious. What is better than to have a great sleep after the hectic and tough day? 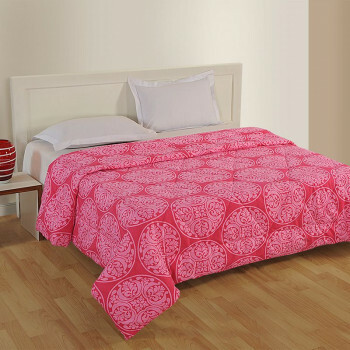 As you lie in your bed and cover yourself up with the duvet, you will feel snuggled up in the warm caress. 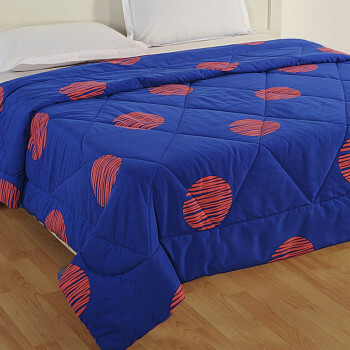 Swayam brings you multipurpose duvet which keeps you warm in Air conditions and mild winters also; you may have warming embrace in both the seasons through this AC & winter duvet depending upon the conditions. As far as the matter concern of its usage, it is very light in weight yet warmer with 150 GSM microfiber poly fill fibers. 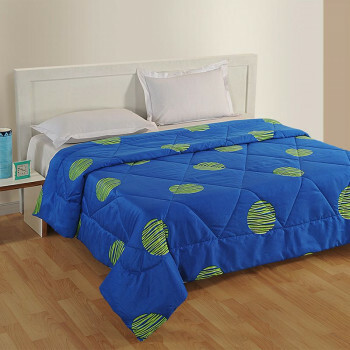 We are having single duvet as well as double duvet with the same GSM filling so, you may choose best as per your requirement. 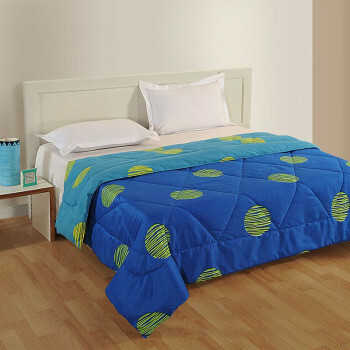 Besides, you may order for customization for your specific need. We prefer to use premium microfiber polyester filling in its built which transforms it as highly durable through its ultra-fine fibers, shrink-resistant, wrinkle resistant, mildew-resistant, insulator yet breathable, dust repellent, non-allergic, and odorless. It is super rich with its various properties. Apart from such beneficial properties, it helps you get rid of oozing out of fibers; it happens because of the incorporation of Liza finish. 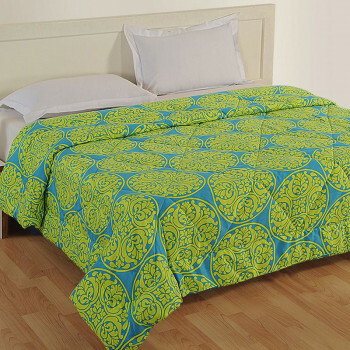 Moreover, duvet loops on the edges hold the duvet cover and stop it shifting from the corners, which ultimately provide ease to the users. Adding into its features, we apply satin stripes of full bright white color for infusing luxurious look along with comfort, ease, and warmth. 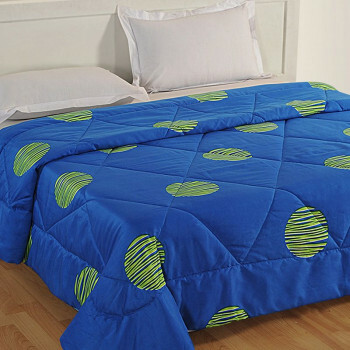 It relives as down duvet does; it is ultra-soft like down duvet. 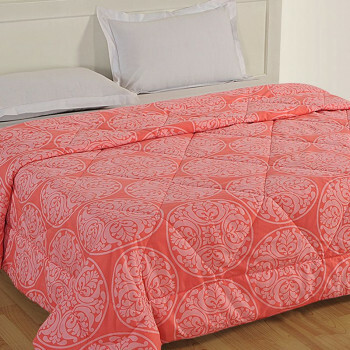 You would obtain more than value for money if you buy duvet online only from our portal.